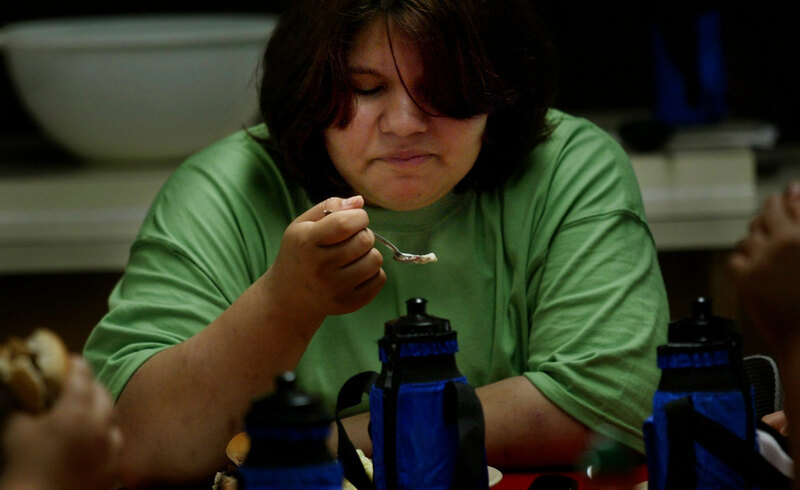 YUCK- Campers had to quickly adjust to the calorie-restricted, low-fat diet at Camp Jump Start. "The food is kind of weird," says Christina Weihs,13, Wauwatosa, Wisc., who admits that at home she eats junk food and the wrong portion sizes. "My family is worried because they think I could get diabetes."